German Roach vs. American Roach: What’s the Difference? Cockroaches are one of the world’s most ancient and despised critters and a common pest in homes and businesses throughout the world. Most people are desperate to be rid of their roaches as soon as they realize they have them and with good reason! Cockroaches spend most of their days hanging out in drains and sewers, where they come into contact with all sorts of harmful bacteria. This is then spread around your home, contaminating work surfaces, food preparation areas, and other household items. People suffering from allergies should also beware of roaches in the home. Cockroaches shed their skin and defecate as they walk around which can lead to asthma attacks and nasty rashes in some people. As if roaches weren’t gross enough, they also secrete an oily liquid which emits a faint, but unpleasant odor. Although this may not be noticeable at first, a large number of cockroaches can start to seriously stink up your property. When exterminating cockroaches, the first thing you need to do is determine what kind you’re dealing with. The two most common types of roaches are the German Cockroach and the American Cockroach. These critters differ noticeably in terms of their appearance, size, nesting habits, and location, but most people don’t know how to identify one from the other. So, German vs. American cockroach; which is which? What’s the difference between a German Roach and an American Roach? 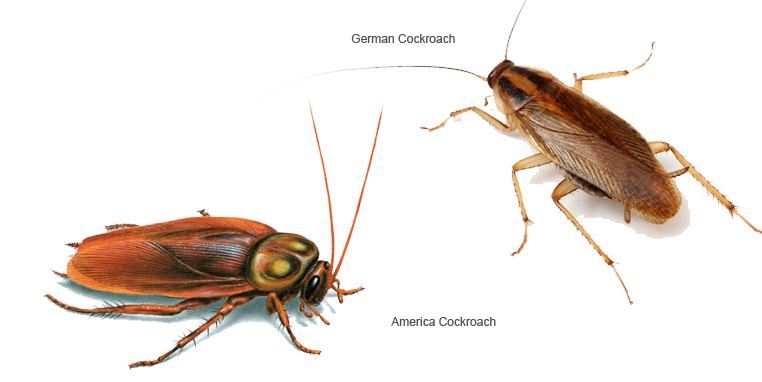 There are several ways to tell German and American Roaches apart. In fact, identification is easy once you know the basics! Location: The German Cockroach is a global pest and can be found in houses and businesses all over the world. 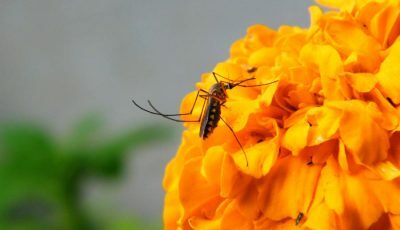 These bugs can usually be found indoors and will typically nest in cracks and crevices around the home. All cockroaches enjoy warm, humid spaces, so they can most commonly be found lurking in bathrooms and kitchens. Check underneath stoves, dishwashers, refrigerators and bathtubs if you think you have German Cockroaches in your home! Color: German Cockroaches are light brown or tan in color. They also have two dark, parallel lines that run from their heads to their wingtips. Size: German roaches are much smaller in size than their American cousins. 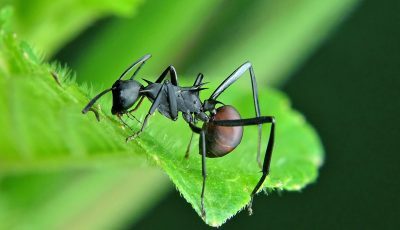 They will only grow up to half an inch long (around the size of a dime or penny). Behavior and breeding habits: The most notable thing about the German roach is its reproductive capacity. A single female cockroach can become 30,000 in a single year – so if you think you have a problem with roaches, deal with it quickly! Although German Cockroaches do have wings, they rarely use them and can most often be found crawling around on the floor. Location: All roaches prefer warm, humid conditions but, unlike German roaches, the American variety makes their home outdoors or in basements. Inspect drains and crawl spaces for nests if you think you may have an infestation. Color: American Cockroaches are reddish brown in color, with a paler yellow or orange color around the edge of the thorax. Size: American Cockroaches are the world’s largest domestic species and are much bigger than German roaches. If you have an infestation of these critters, expect to see specimens between 1.5 and 2 inches long. 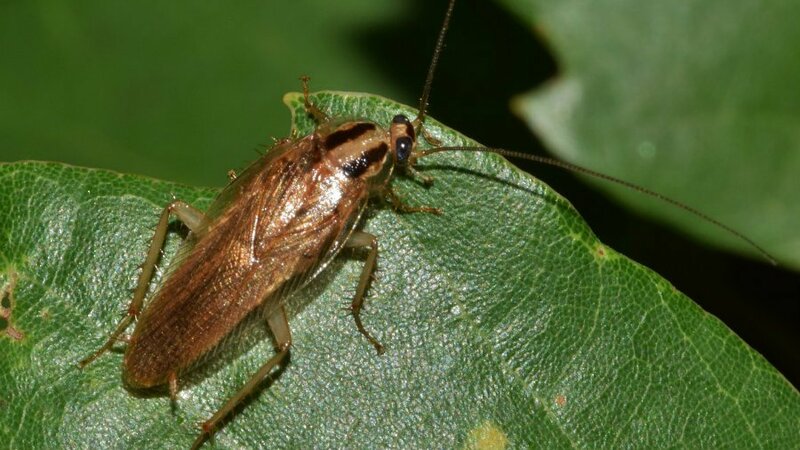 Behavior and breeding habits: Although American Cockroaches typically prefer outdoor habitats they will often come indoors during wintertime to escape the cold weather. 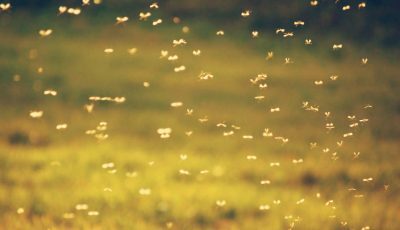 Although capable of flying, American Cockroaches typically stick to crawling and can most commonly be found around floor drains, bathtubs and sewers. What does a baby cockroach look like? Baby roaches mean big trouble! If you are seeing baby cockroaches around your property, this means you have a significant infestation and need to deal with the situation immediately. But how can you identify a baby cockroach? German Cockroach babies (or nymphs) are very small, around the size of a period. Their shape changes as they mature, going from round to teardrop-shaped, to cigar shape when they reach adulthood. Baby German Cockroaches are dark brown in color with a small tan area on their backs. Unlike adult roaches, the babies don’t have wings. Baby American roaches emerge from the egg looking like a miniature version of the adult, except they are white in color. This darkens to reddish-brown as they mature. Adult American Cockroaches have wings, but the nymphs do not. What does a cockroach nest look like? When it comes to cockroaches, the word nest refers to large numbers of the creatures living in the same space – they don’t actually build nests. Roaches are most commonly found lurking in small crevices and enclosed spaces, such as behind fridges or in drains. Look for egg cases, skins, dark spots, and live or dead cockroaches if you suspect an infestation and want to know where they’re coming from. 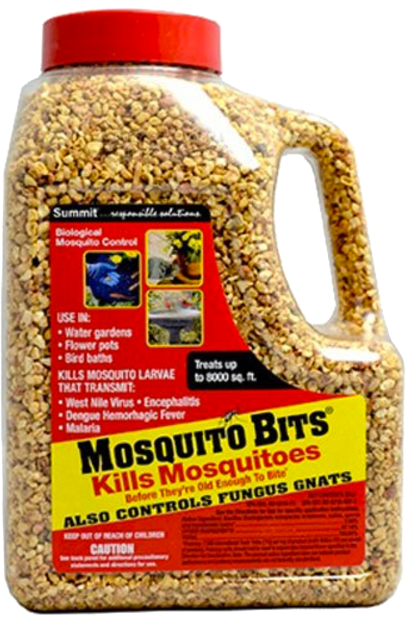 This is important for roach extermination, as the first step for getting rid of them is to eradicate the nest. 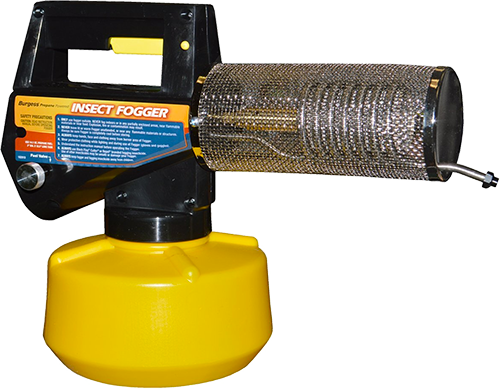 If you think you have an infestation of cockroaches it is important to act quickly, as these pests breed rapidly and can quickly overrun your home. Roaches inhabit sewers, crevices, and drains, where they come into contact with harmful bacteria which they then spread everywhere they walk. They can also spread allergens around your home, which can trigger asthma attacks. If you see baby cockroaches, it’s bad news – this is usually a sign of a major invasion and must be handled professionally. The first step to overcoming your problem with roaches is to find out what you’re dealing with. Once you know if your cockroaches are American or German, getting rid of them will be a whole lot easier!